I'm linking up with the SUPER bloggers at Primary Powers today for a fun organization hop. Here is a throwback post for you, today. It's all about desk organization! 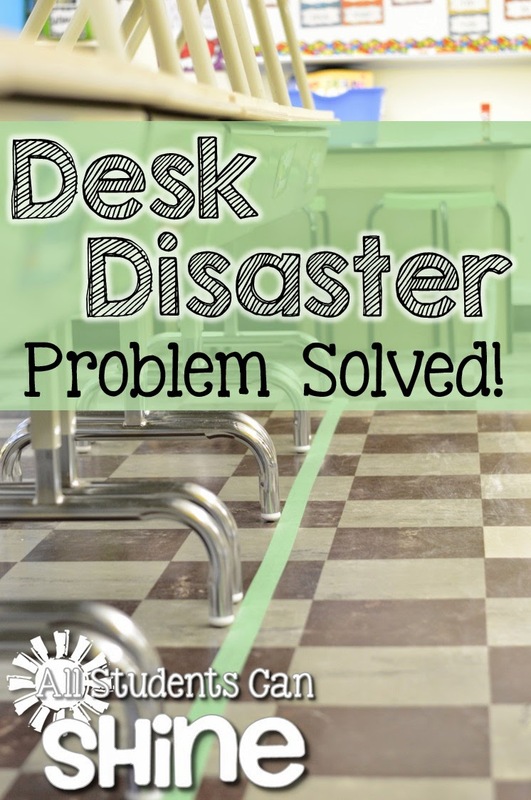 Do you struggle with getting your kidlettes to keep their desks in a straight line? Sometimes, I feel like my students have changed my perfectly planned desk arrangement to their very own mess! We always start each day with a super tidy classroom but, by the end of they day, it always looks like our desks had a party and we weren't invited! HA! Last week, I decided to help my little ones by using an old trick. Sometimes, an old trick goes a long way! In this case, this old trick helps keep me sane! I placed the desks EXACTLY where I wanted them. 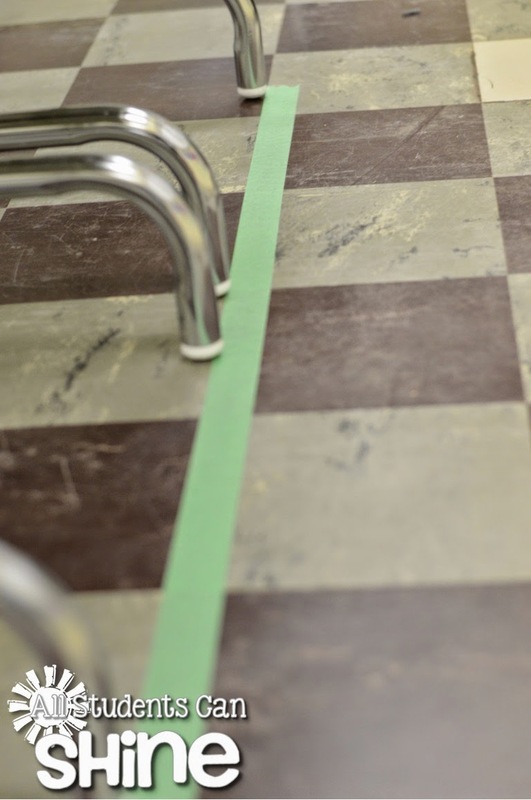 I then used tape to make guidelines on the floor and VOILA! We now have a classroom with desks that STAY IN PLACE! I hope this little trick will help some of you! Don't forget to hop to over to Sarah's blog for the next organization tip! What a great idea! Easy + effective = AWESOME! 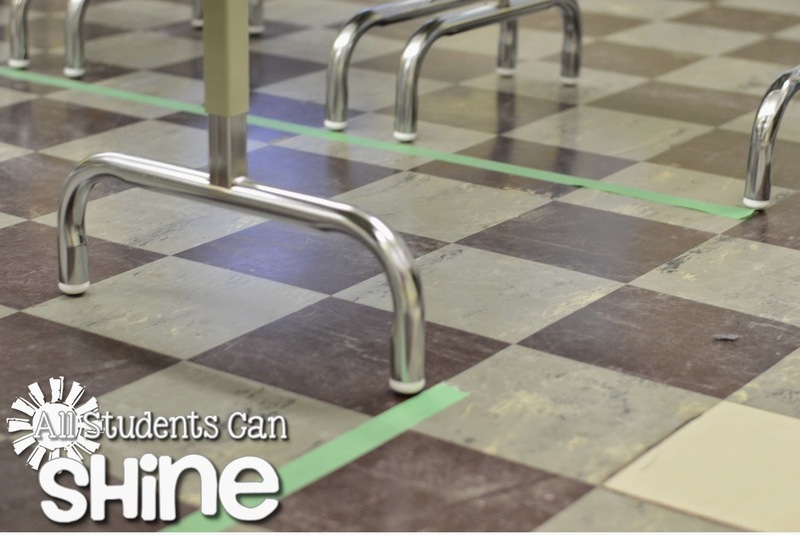 I used this idea in my classroom and it worked great, too! Thanks for sharing this tip!